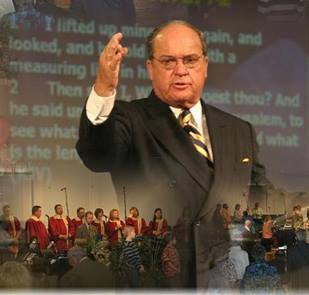 Bishop George Lafayette Glass Jr. (July 8, 1933-Sept. 26, 2015) – James Becton Ministries/ EaglesVision Apostolic Co! Lost a great man and soldier of the cross in Sr. Pastor George L. Glass, Jr. in DeRidder, La. early this morning!! I have known Bro. Glass virtually all my life, as He pastored my paternal grand-parents, Jim & Christine Becton, for many years in North Little Rock, Ar. We always enjoyed the monthly visits to Little Rock from Stamps to see them and go to church where Bro. Glass pastored. Ironically, many years later, we pastored and ministered together there in Deridder, and it was a delight to spend many days drinking coffee in McDonald’s and visiting with him and Sis. ‘Nett in their home. Since we moved from their and living in Houston since 2003, I still made 3-4 trips a year to minister in the area there on Wednesday nights and when he was in town, we would meet for breakfast on Thursday mornings before returning home. Haven’t gone as much the last couple of years, but I was so glad I went to his “80th” Birthday celebration the first weekend of July 2013! That was a highlight and was so glad to see him a few times over the last couple of years! He always received and welcomed me as one of his own, as George Lee, Gregg, and I grew up playing softball and football all the years at Arkansas Youth Camps!! To my mind, there has never been or ever will be, a more pure, true shepherd as Bro. Glass! He was the “Prince among pastors” and in his latter years serving as Bishop of Grace, along with Ps. George Lee, a true “Servant-Leader” to pastors all around the country!!! One of our last visits together last year he was so thrilled to take me to “Soul Soup” a ministry of Grace where everyday for over five years now they serve a soup meal free of charge from 5:00-6:30. He beamed with that great smile how he loved serving there! I will miss you Sr. Pastor, I will always honor you for your love and being a true friend to me!! Welcome home, and well done, good and faithful servant of the Lord!! !